Miss the first two parts? Click here: PART 1 PART 2. Diamond claims that malnutrition, starvation, epidemic disease, and class and gender divisions all stem from the ancient peoples’ efforts to domesticate plants. Because many wild flowers cannot be used for food, early humans had to limit themselves to the edible plants, mostly berry bushes. Meanwhile, when they ate berries and fruits, early human beings would not digest the seeds, believing it would make them sick. The first farmers would also sow the seeds from these edible plants, because they did not yet understand the genetic principle that the seeds from these big berries are likely to grow into bushes yielding even more big berries. This left many farmers with surplus of food because they were growing more than they needed. Thus, they began to use the concept of cultivation, which is the use and management of plant resources. This was the first step towards domestication of plants. Some seeds were easier for humans to collect than others, but early farmers did not understand the distinction because of their limited knowledge of reproduction. When they forced certain plants to fertilize with each other, it could limit the passage of certain desirable mutations from one generation to the next. 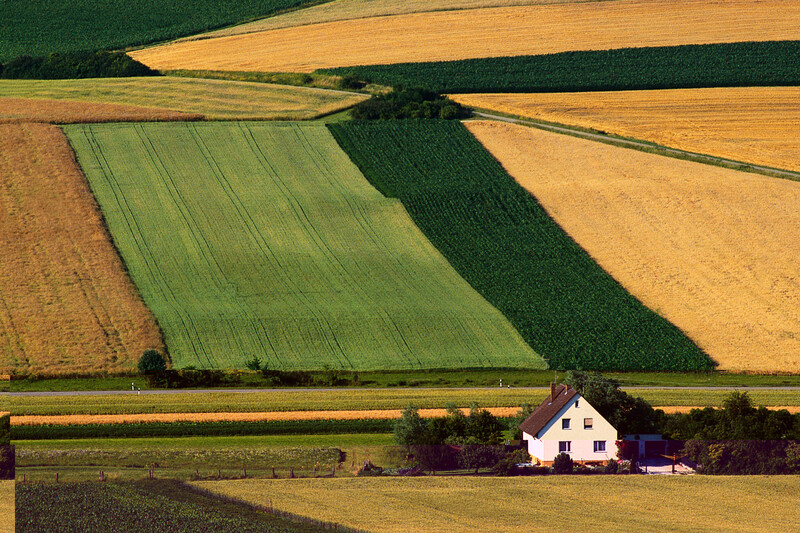 While this kind of forced cultivation seemed to be more efficient at the time, Diamond argues that it would have been more beneficial to let plants fertilize themselves wherever the conditions were good enough for human survival, and thus, the plants would have evolved to display genetic characteristics that are more desirable for human consumption. Some examples of domesticated fruits that farmers cultivated from genetic mutations are seedless grapes, bananas, oranges, and pineapples. Scientists often describe domestication as an evolutionary continuum of plant-person interaction, meaning that human beings have pressured the development of plants. Initially, the human influence over plant growth was accidental, but as human civilization evolved, domestication became necessary to create sufficient food supply. 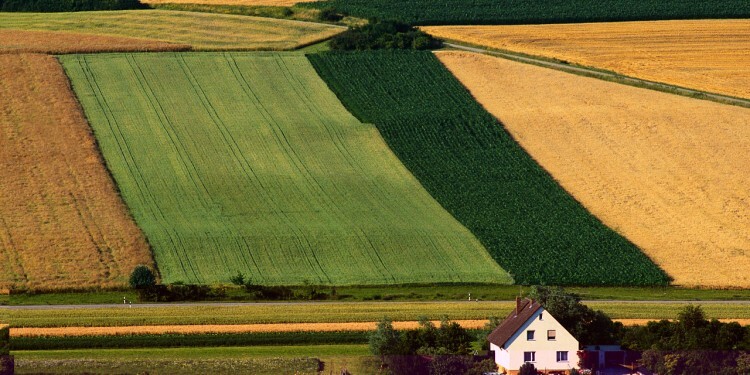 As the development of agriculture was occurring roughly 12,000 years ago – regions of Europe and South America exhibited certain advancements around the same time. South America had a large number of plants that were available to the early humans who lived there. According to Diamond, quinoa was the only cereal or grass that the Andes region had access to, and later on, they had diffused corn from Mesoamerica. They also ate a variety of pulses such as the lima bean, the common bean, and the peanut. South Americans had cotton as well, and they used it to produce clothing and linens. South America’s biggest agricultural advantage over Europe was their cultivated potatoes. Cultivated potatoes all belong to one botanical species, Solanum tuberosum. The potato originated in the South American Andes and was probably domesticated between 10,000 and 7,000 years ago. The aforementioned plants can easily support large populations because they fulfill all of human beings’ dietary needs. Cereals and grains give humans enough calories for energy, and the beans contain enough protein to compensate for a lack of access to animal meat. Items within the pulse food group delivered essential fat, protein, and different types of carbohydrates to early human bodies. Even though South America lacked animal protein, it had enough of the other food groups to support the large population. In addition to the domestication of plants, the domestication of animals had an enormous impact on the development of societies in both Europe and South America. It is a common belief that to be domesticated, an animal simply needs to be tamed. However, taming an animal does not necessarily dictate how that animal’s offspring might turn out. Biologist Dmitry Belyaev identified a collection of genes that conferred a propensity to tameness – creating a genotype that lends itself more easily to domestication. Only some early animals showed the traits that would allow them to be tamed, but human beings needed to take action to figure out what these traits were and how to bring them out of a specific animal. Jared Diamond suggests some traits that an animal must possess in order to be tamed and therefore, domesticated. Firstly, domesticated animals cannot be picky eaters; they must be able to survive on the food they find in and around the human settlement. For example, cows and sheep are herbivores, and like to forage on grass and eat the farmers’ surplus grain supply. For a carnivore to be domesticated, it must be small (like a cat or a dog), and be able to survive by scavenging through human waste and scraps, as well as eating the vermin that those morsels attract. Secondly, only animals that reach maturity quickly relative to the human lifespan were worth considering for domestication. Ancient humans, especially, did not have much time to feed and care for an animal in order for it to grow large enough to be put to work or be slaughtered. For this reason, humans were unable to achieve widespread domestication of late-maturing animals like elephants. Elephants can be tamed and become good labourers, but it can take up to 15 years for this process to be complete. Nonetheless, ancient human beings still needed big animals to perform heavy lifting. Diamond asserts that although many small animals were easily domesticated around the world, only a few could pull wagons or ploughs or provide the large amounts of meat necessary to move a society forward. A domesticated species must also be willing to breed in captivity. Creatures such as antelope are territorial when it comes to breeding; they cannot reproduce in crowded enclosures. The ancient Egyptians tried to domesticate the cheetah, but its elaborate courtship rituals (like two potential mates running together over long distances) prevented their success. Another trait that makes it easier to domesticate an animal is a docile nature, which means it can easily adapt to its environment. For example, animals like cows and sheep are generally easygoing, while the African buffalo and the American bison are both unpredictable and can be highly dangerous. The latter animals could easily harm a human, and therefore, human beings have long since given up trying to domesticate them, while cow and sheep are now common farm animals. While the zebra and the horse are closely related genetically, the zebra is typically more aggressive and this is likely the reason that there are very few instances of domesticated zebras. The way an animal reacts to danger is a crucial factor in domestication. Domestic animals cannot have a strong tendency to panic and flee when startled. This automatically rules out animals like deer and gazelles, both of which have flighty temperaments and a powerful leap, enabling them to escape over high fences. Early farmers could not control animals that ran faster and were more agile than humans. When sheep sense danger, however, the panic triggers their “flocking instinct.” This means that they tend to stick together, making it easier for farmers to herd them. Finally, all major domesticated animals must conform to social hierarchy dominated by strong leadership. Humans had to be able to easily modify the animals’ sensibilities so that they would recognize their human caretaker as the pack leader. Once this process was successful, humans could herd the animals anywhere they want. Cows, sheep, etc. all use this structure, and these animals were both domesticated near or in the Fertile Crescent. Over time, human beings were able to select animals that presented favourable traits for domestication, and these species evolved naturally in reaction to the changes in human civilization and society. Europeans mostly focused on domesticating horses. Scholars believe that without horses, advanced economy and trading networks could never have developed on the continent. Horses, however, had the largest impact on systems of war. Spanish horses were instrumental in the country’s conquest of the New World. When Spanish invaders first arrived in what is now North and South America, neither the native Incas nor the Aztecs had ever seen human beings riding horses before. After the conquest, though, the Spanish horses mostly died out, likely due to over- hunting and climate change. Later on, the Europeans reintroduced horses to South America. In South America, there were very few domesticated animals, and those they had were very small – like dogs and chickens. They only large domesticated animal in ancient South America was the llama. The llama became domesticated in the Peruvian Andes some 6,000 to 7,000 years ago. Llamas provided large quantity of meat for the humans in that region and it also gave them wool so they could make fibrous essentials like rope and blankets. South Americans also used llamas as pack animals because they can carry loads of up to 30 kg for 15 to 20 kilometres a day. The llamas’ high tolerance for thirst and appetite for a broad range of plants made them key to transport and communication throughout the Andes. However, the llama lacked the strength of an oxen, camel, or horse, so it could not carry adult humans or pull any sort of agricultural machinery. It is commonly accepted that the Incas discovered the wheel, but no llama could ever have pulled a cart larger than a wheelbarrow. In taking all of these differences into consideration, Europe’s main advantage over South America when it came to agricultural development was access to the Fertile Crescent. This area was blessed with fertile soil, two great rivers (the Euphrates and the Tigris), as well as hills and mountains to the north. Europeans would adopt developments that occurred in the Fertile Crescent as human beings became able to travel back and forth. The Fertile Crescent is the cradle of civilization, it is regarded as the birthplace of agriculture, urbanization, writing, trade, science, history and organized religion (Fertile Crescent Ancient History). All of these advancements originated from the agricultural revolution, so Europe’s advantages in agriculture in 8,000 BC led to a more sophisticated civilization thousands of years later.